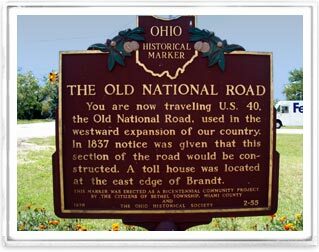 Situated along historic National Road (US Route 40) Bethel Township has a rich history. The hamlet of Phoneton was home to one of the first AT&T telephone switching stations. Bethel Township is also home to the unincorporated towns of Brandt and West Charleston. For more information on Bethel Township's history contact the Bethel Township Historical Society. The Bethel Local School District consists of one K-12 grade building with three (3) schools: elementary, junior high and high school. With an enrollment of appro ximately 1000 students, Bethel Local School graduating students consistently rank among the top in the Miami Valley area in proficiency and achievement tests. In addition to having outstanding college preparatory and general courses of study, BHS is affiliated with the Miami Valley Career Technology Center, which offers 50 vocational programs and Tech Prep courses of study. The athletic teams compete in the Cross Country Conference. The mission of the Park District is to acquire and manage outstanding natural resources for the purpose of preservation, conservation, education, and passive leisure activities for the people of Miami County. 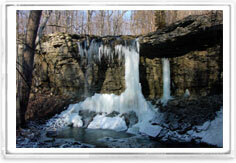 Bethel Township is proud to be home to Charleston Falls Preserve. Walking trails, wildlife and a unique natural waterfall highlight the park.